Drip Kits | ATS Irrigation, Inc.
An excellent kit for first timers wanting to try drip irrigation in a small garden. 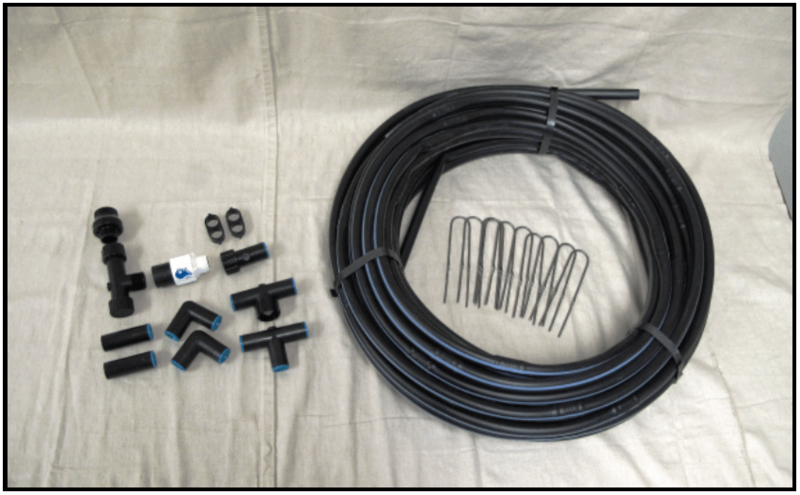 This kit includes 200 feet of 5/8" high-flow Chapin™ drip tape with slits spaced every 12" for uniform watering. It also includes enough adapters and fittings for an 8 row garden. All of the components in this kit are sold separately, so the system can easily be expanded. 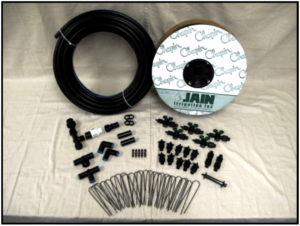 This kit includes 1,000 feet of 5/8" high-flow Chapin™ drip tape with slits spaced every 12" for uniform watering. The kit also includes enough adapters and fittings for a 15 row garden. All of the components in this kit are sold separately, so the system can easily be expanded. 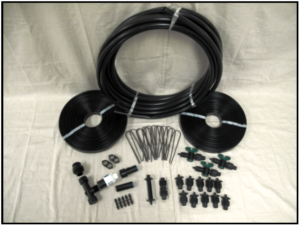 This kit features heavy wall 1/2" poly drip irrigation tubing with 1 gallon per hour emitters pre-installed on an 18" spacing. A great way to drip irrigate small gardens, shrub beds, and around the perimeter of homes for foundation stabilization. It features 100 feet of emitter tubing and everything else needed to get started. The heavier wall thickness means it can be moved and handled more often with less damage than the drip tape systems. Additional tubing and fittings can be added to expand this system to single runs up to 300' long.